The Hub of Software Innovation.” SourceForge.net is the world’s largest open, collaborative platform enabling millions of technology innovators around the globe to develop and distribute cutting edge, emerging technologies amongst a massive universal community of casual consumers and leading industry professionals seeking and evaluating software solutions. With over 230,000 open source software projects, delivering over 3 million downloads every day, expert help, and a global reach penetrating every area on planet Earth, SourceForge.net has become the world’s largest reliable collection of open source software tools and applications on the net today. 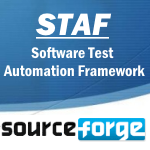 The Software Testing Automation Framework (STAF) is an open source, multi-platform, multi-language framework designed around the idea of reusable components, called services (such as process invocation, resource management, logging, and monitoring). STAF removes the tedium of building an automation infrastructure, thus enabling you to focus on building your automation solution. The STAF framework provides the foundation upon which to build higher level solutions, and provides a pluggable approach supported across a large variety of platforms and languages. Rich coverage analysis: Coverage results are immediately summarized and highlight;ed in the Java source code editors. Non-invasive: EclEmma does not require modifying your projects or performing any other setup. 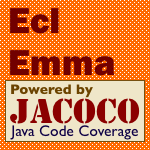 Since version 2.0 EclEmma is based on the JaCoCo code coverage library. The Eclipse integration has its focus on supporting the individual developer in an highly interactive way. XMLUnit provides assertions that help testing code that produces XML. XMLUnit is an open source project licensed under the BSD license. It provides a small library of interrelated classes that simplify each of the different ways to test XML pieces that have been outlined in the previous section. Special APIs are provided to simplify writing unit tests with J/NUnit, but the library itself is fully usable without any testing framework at all. There is a Java and a .NET version of XMLUnit. XMLUnit’s APIs will accept “pieces of XML” as input using several different forms. In most cases they can be provided as InputStreams, Readers, Strings, InputSources or readily parsed DOM Document instances. XMLUnit also provides a Transform class that can be used to apply an XSLT transformation to an existing input. Development teams want to develop and release products rapidly. However, it is not easy to run all the test case manually in every build to analyze the defect status and assure the code quality. Especially for web-based product, compatibility test will make test efforts in multiples. Agile Test is a web-based test case management system with easy-to-use interface. It is designed to fit the team management needs regarding user stories, feature requirements and test cases in scrum framework. Abbot helps to test your Java UI. It comprises Abbot, which lets you programmatically drive UI components, and Costello (built on Abbot) which allows you to easily launch, explore and control an application. The framework may be used with both scripts and compiled code. Testing with Abbot consists of getting references to GUI components and either performing user actions on those components or making some assertions about their state. To facilitate this process, the framework provides ComponentReferences to get a handle on a GUI component (even when it may not yet exist), and extended Robot-like objects, which know how to perform user-level actions on various GUI components. OpenSTA is a distributed software testing architecture designed around CORBA. It supplies a versatile Test development software that enables to create and run Tests tailor-made for the specific environment. The current toolset has the capability of performing scripted Web (HTTP and HTTPS) heavy load tests and also include Collectors which are used to record additional performance data from Win32 platforms. OpenSTA supports the creation of HTTP/S load Tests that include Scripts which supply the load element. Testitool is an application written in PHP that allows it's users to compose and manage QA test plans. Testitool is a Web-based application for QA test planning. It creates a test plan and populates it with test cases, maps test cases to functional requirements, instantiates a test plan, begins executing test cases and marks them as successful or failed, generates reports on your test plans, copies test plans and test cases, and tailors test plan instances by adding and removing test cases from them. 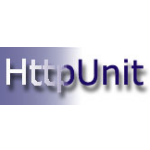 RCUNIT is a small framework for testing C programs and a black box testing tool. It uses non-local jumps to emulate exceptions and handles program terminating signals (e.g. SIGILL) during test runs. 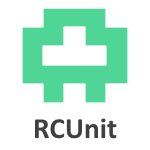 RCUNIT allows creation of test fixtures, either per test or per test group. RCUNIT also provides a runtime memory leak check facility and an extensible exception handling mechanism. Requiring only an ANSI compliant C compiler, it is a highly portable unit testing tool. OpenWebLoad is a tool for load testing web applications. OpenWebLoad is a tool for load testing web applications. It aims to be easy to use and providing near real-time performance measurements of the application under test. This is particulary useful when you are doing optimization as you can see the impact of your changes almost immediately. Unity is a unit test framework written entirely in the C language. It is lightweight and possesses special features for embedded systems. Unity has scaled well from small to large embedded projects but can be used for any C project. At only one source file and a couple of header files, it doesn’t get much smaller. cfix is an xUnit testing framework for C/C++, specialized for unmanaged Windows development (32/64 bit). cfix supports development of both user and kernel mode unit tests. cifx unit tests are compiled and linked into a DLL. 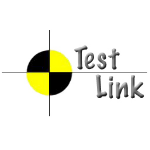 The testrunner application provided by cfix allows selectively running tests of one or more of such test-DLLs. Execution and behaviour in case of failing testcases can be highly customized. Moreover, cfix has been designed to work well in conjunction with the Windows Debuggers (Visual Studio, WinDBG). As of cfix 1.3, the framework is source-compatible to WinUnit, i.e. a WinUnit test suite can be recompiled into a full-fledged cfix test suite. CubicTest is a graphical Eclipse plug-in for writing Selenium and Watir tests. CubicTest is an open source Eclipse plugin that tries to make testing web applications easier to design, understand and run for nontechnical as well as technical users. 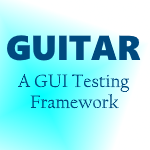 CubicTest uses a graphical user interface to let users model tests instead of writing test scripts. The tool focuses on enabling test driven development of web applications, but also supports testing of existing web applications. The goal is to make it possible to replace a detailed requirements specification and manual test scripts with tests designed in CubicTest. xTests is an efficient unit- and component-test library, for multiple languages. xTests is a simple, easy-to-use, efficient unit- and component-test library, for multiple languages. Combining high discoverability and low coupling, xTests is a lightweight solution designed for use in verifying other libraries. Combination of FitNesse and Selenium, providing a domain specific langauge that allows non developers to write selenium tests in plain english that are executed through the Fitnesse framework. Fitnium creates an easy bridge between Fitnesse and executing Selenium-style intructions, by means of extension of Fitnesse’s scripting language. Fitnium takes it a step further by encouraging scenarios to be written in style that is both understandable to all but also provides the developer with good instruction on what code to produce (domain-specific language (DSL)). Although programming languages various is style and format, fundamental elements remain similar and can be experessed in a common style. Avignon is an acceptance test system that allows you to write executable tests in a language that you define. Avignon tests are written in XML and executed by a JUnit test runner using small pieces of Java code associated to each XML tag. It comes with a number of tags already coded that allow fairly effective testing of web applications and limited testing of Java Swing and AWT based applications, but you can derive the most benefit from it by using its extensibility to create your own testing language that best expresses your tests. For programming teams that use the eXtreme Programming (XP) methodology, Avignon lets customers express acceptance tests in a non-ambiguous manner before development starts. Testsuite to validate the reliability, robustness, stability of Linux. The Linux Test Project is a group aimed at testing and improving Linux. The goal of the LTP is to deliver a suite of automated testing tools for Linux as well as publishing the results of tests we run. LTP invites community to contribute in new horizons. The LTP testsuite contains a collection of tools for testing the Linux kernel and related features. A FREE IPHONE WEB SIMULATOR FOR DESIGNERS. Looking for a way to see how your web creations will look on iPhone? Look no further. iPhoney gives you a pixel-accurate web browsing environment—powered by Safari—that you can use when developing web sites for iPhone. It's the perfect 320 by 480-pixel canvas for your iPhone development. And it's free. Ns is a discrete event simulator targeted at networking research. Ns provides substantial support for simulation of TCP, routing, and multicast protocols over wired and wireless (local and satellite) networks. Java-based testing framework for web applications. JWebUnit is a Java framework that facilitates creation of acceptance tests for web applications. It evolved from a project where we were using HttpUnit and JUnit to create acceptance tests. As the tests were being written, they were continuously refactored to remove duplication and other bad smells in the test code. JWebUnit is the result of these refactorings. It wraps existing testing frameworks such as HtmlUnit and Selenium with a unified, simple testing interface to allow you to quickly test the correctness of your web applications. DbUnit is a JUnit extension (also usable with Ant) targeted at database-driven projects that, among other things, puts the database into a known state between test runs. 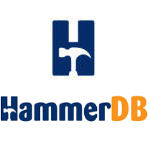 DbUnit has the ability to export and import the database data to and from XML datasets. Since version 2.0, DbUnit can also work with very large datasets when used in streaming mode. DbUnit can also help to verify that the database data match an expected set of values. 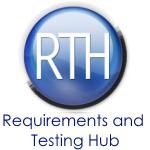 DbUnit includes a comprehensive test suite. TextTest is an open source tool for text-based functional testing. TextTest is an application-independent tool for text-based functional testing. This means running a batch-mode binary in lots of different ways, and using the text output produced as a means of controlling the behavior of that application. We are warm adherents of Agile Development practices, and practitioners of Extreme Programming. We believe that the Agile movement has improved the software quality situation a great deal, by moving testing to the center of the development process and making developers directly responsible for verifying the quality of their code. 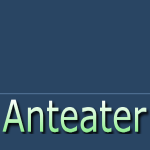 Anteater is a testing framework designed around Ant, from the Apache Jakarta Project. It provides an easy way to write tests for checking the functionality of a Web application or of an XML Web service. It can test either HTTP requests or replies in various sophisticated ways. The ability to wait for incoming HTTP messages is unique to Anteater, which makes it especially useful when building tests for applications that use high level SOAP-based communication and asynchronous SOAP messages. Anteater provides XML and text logging support and the ability to render the logs into HTML reports. Jameleon is an automated testing framework that can be easily used by technical and non-technical users alike. Jameleon is a data-driven automated testing tool that is easily extensible via plug-ins. Features of applications are automated in Java and tied together independently in XML, creating self-documenting automated test cases. The learning curve is small and maintenance is minimal because Jameleon is broken up into different layers that can be learned by people of different skill sets. Jameleon breaks applications up into features and allows testing at any level, simply by passing in different data for the same test. And because Jameleon is based on Java and XML, there is no need to learn a proprietary technology. Micro is a lightweight, xUnit style, Open Source AutoIt unit testing framework written in AutoIt, for AutoIt. Micro using a simple and natural unit testing syntax. The goal of Micro is to be easy to use and simple to integrate with continuous integration services. Micro provides a simple assert based system for testing the fixtures of your code.